What’s the perfect amount of time to spend working? You know, the amount of time where you are productive, on top of your game and accomplishing your goals without sacrificing your health or your life? Only you can answer that for yourself, but an intriguing study on work-life balance offers new insight to help you make this important decision. More: Quiz: How balanced is your life, really? Australian researchers took about 7,000 adults in the workforce, analyzed their work schedules and then put them through a series of cognitive tests. The results may surprise you: For adults over age 40, those working 25 hours a week performed best, with people showing increases in their abilities and functioning up to that point. It declines past that point, with those working 55 hours a week showing results worse than retired or unemployed participants. That’s right, working just three days a week made them happier, healthier and optimally productive employees. And this was true for both men and women. It all comes down to the one-word scourge of our modern society: stress. “Work can be a double-edged sword, in that it can stimulate brain activity, but at the same time long working hours can cause fatigue and stress, which potentially damage cognitive functions,” explained Colin McKenzie, Ph.D., one of the authors of the study and a professor at Japan’s Keio University. 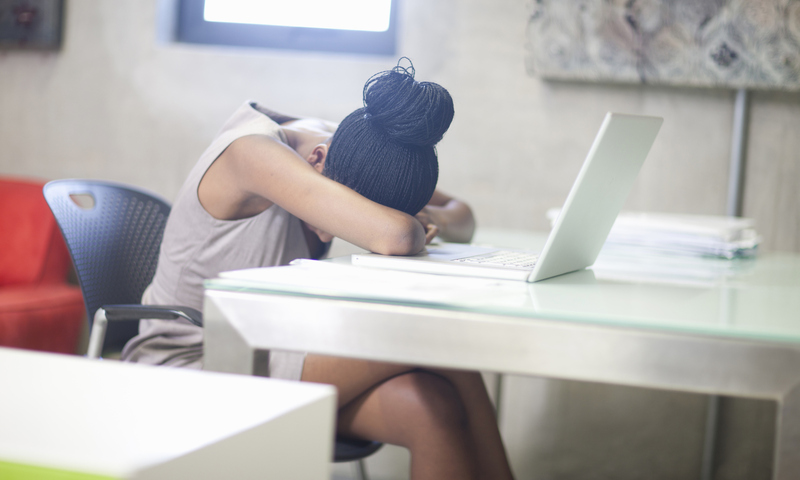 Younger workers are apparently less susceptible to burnout, perhaps because of their more resilient health or because they’ve simply been in the system less time. But as anyone who has to pay the bills knows, while shorter work weeks may be ideal, they may not be realistic. Pensions are the unicorn of employee benefits these days — you’ll almost never see one in the wild, and if it weren’t for knowing a few older folks who swear they exist, I’d think they were a total myth. And Social Security and other government benefits are often not enough to live on. This leaves adults, as we get older, wondering how to balance our need to eat with our health. The sweet spot may be part-time work, according to the researchers. Not only do we need to stay mentally active — brains appear to be a use-it-or-lose-it commodity — but working gives people a sense of productivity, community and responsibility. In short, work gives your life meaning. But extra hours may not be worth the extra cash when it comes to stress and all the health problems that come with it. The trick is to find a job that a) feels fulfilling, as in not “wage slavery,” and b) will allow flexibility in hours through programs like job-sharing, part-time positions or mentoring. Unfortunately, these situations are about as rare as pensions. But hopefully, as companies start realizing that people perform better when they’re not being worked to the bone, and with the advent of new technologies, we’ll start to see more options. I’m not yet 40, so a girl can hope, right?